Villa Le View Guesthouse is situated in the Bluff, and offers comfortable accommodation just a 5 minute drive from Ansteys Beach. 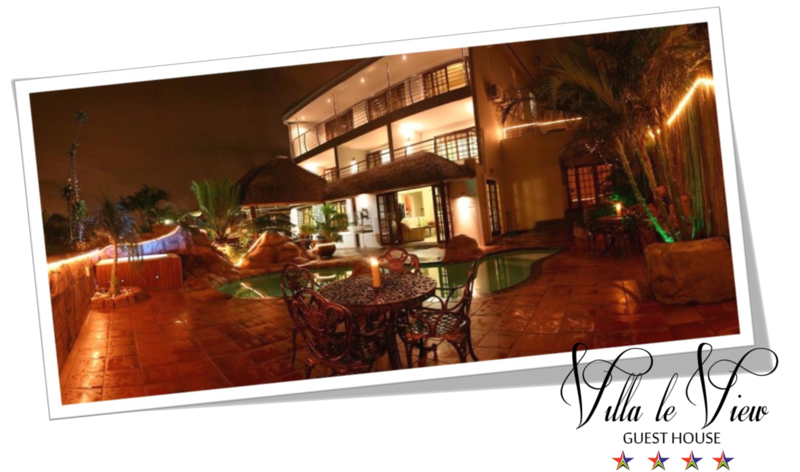 The guest house is situated to the south of Durban’s CBD, and is ideal for both business and leisure travelers. Accommodation is offered in 15 rooms, each with a king-size bed and an en-suite bathroom. Each room has a unique character 10 of the 15 rooms feature balconies where guests can enjoy the views. Guests have access to the Internet, a laundry service, and airport transfers. The guest house offers two lovely swimming pools and and entertainment areas, a Jacuzzi, and secure parking.